I am 30,000 feet in the air on my way to Indiana. (At this point, the ear worm begins: Either it’s the Jackson 5 song “Going Back to Indiana” www.youtube.com/watch?v=0F_041ncqg0 OR the one that starts: Gary Indiana, Gary Indiana…. ) It is the next step in creating a sculpture for the Mary L. Dewey Sculpture Garden at the Carroll County Public Library. 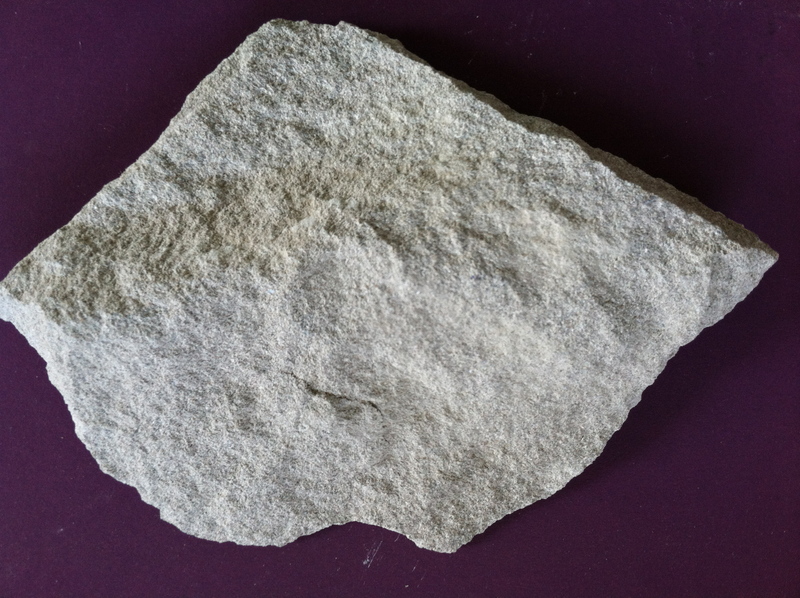 I am heading to a limestone quarry to select a stone. I swam in quarries in Maine; I toured underground quarries in Vermont; I purchased marble from the same quarry as Michelangelo in Italy…but I have never been to an Indiana limestone quarry. 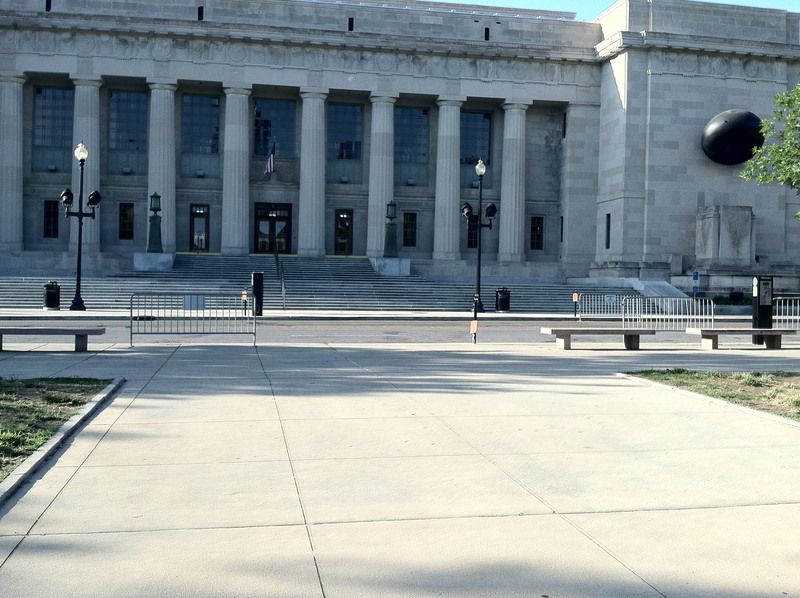 Even the Indianapolis public library was constructed of local stone. I live in Union Bridge – home to Lehigh Portland Cement. Our town is built on a bed of limestone. The foundations of many of the buildings – including mine – come from Lehigh. When you start to dig a garden, you understand quickly just how much stone there is. The limestone that is quarried at Lehigh is mixed with shale, sand, clay and “clinker” to create cement. The Union Bridge limestone is too difficult to carve necessitating the trek to Indiana. Limestone is unique in that it hardens over time when exposed to the elements. Granite is too hard and sometimes cold feeling. Marble feels warmer but does not weather the out of doors as well as limestone. There are many kinds and colors of limestone. Independent is known for its buff (a slight yellow hue) and silver. It is a tight grained stone without veining. I am looking for a silver stone. Sculpting stone is dirty, dusty, noisy work. Mining stone is dirty, dusty, noisy work with MUCH bigger machines. Carey Stapleton, the General Manager at Independent Limestone, has worked with stone for 40 years – as did his dad. As we toured the quarry, he explained the limestone mining process. The quarry at Independent Limestone is an open pit so you can stand at the rim and see layers of time. Removing the stone is very methodical. They work one area at a time. The blocks are cut with diamond studded wire loops and then put on trucks. The stone blocks are marked with the date they were mined – kind of like a birthday. Surrounding the quarry are giant blocks of stone waiting patiently to be shipped to their final destination. They are waiting to be transported to a fabrication shop to be transformed from a block of stone into gargoyles, balusters, a building face, a stone tile, a bridge or a sculpture. We find a stone that will be perfect for the library. It measures 60” x 60” x 48” and weighs 14,000 lbs. I gasp – several times. This will be the biggest stone I have worked with to date. Carey marks the stone and sets it aside for transport to Maryland. Life in Indiana feels a little more laid back. Commutes are under 20 minutes and everyone is very helpful. Without an appointment, I head to Stone Belt transport. Dave Kallio has been in the stone transport business for a long time. He knows the history of Indiana limestone based on the destinations of his trucks. Attendees at the Symposium learn carving techniques, use of tools, and just how difficult it is to carve stone. Bybee is committed to sustaining the art of limestone carving, and generously provides an outdoor working area near their mill building, up to 8 cubic feet of limestone per participant, forklift assistance for moving stones, and a compressor to operate pneumatic hammers. It is late in the day. As I stop to watch sculptors work, I grow anxious to begin my piece for the library. This entry was posted in Public art and tagged carving, Indiana, limestone, quarries. Interesting, Jo. Your karma would certainly dictate the coincidence of the symposium! Enjoy the process. Will look forward to seeing the stone evolve. Now I want to go to Indiana! Beautiful entry. Can’t wait to visit your carving site, if visitors are allowed. Very informative, Jo and very interesting to hear about the synchronicity at work for you as always!